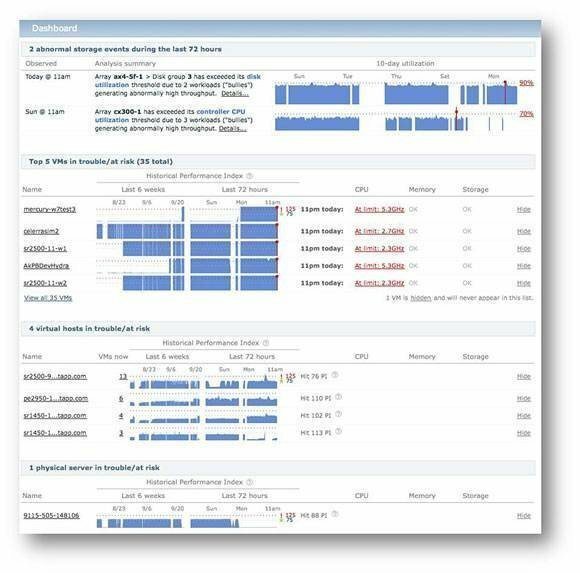 NetApp OnCommand Insight Balance collects performance-related data, models app and component behaviors, and analyzes the app-to-storage route for performance bottlenecks. 2011 Products of the Year competition. Read our best data storage products of 2011 guide to get a list of all the winners. NetApp OnCommand Insight Balance has what an architect would call “good bones” -- its heritage is the two-time gold winner BalancePoint that NetApp picked up with its acquisition of Akorri Networks Inc. Insight Balance collects performance-related data all the way from an application to the storage it uses. With the data it collects, the app models application and component behaviors, and analyzes the app-to-storage route for potential performance bottlenecks. Insight Balance also works within virtualized environments -- no small feat given the difficulties of keeping track of dynamic virtual machine environments. NetApp has beefed up OnCommand Insight Balance’s interfaces and reporting capabilities. Its Health Panels provide a quick look at how performance and capacity are faring, and a Predictor and Abnormality Index sounds an alarm when it senses that storage or an app is acting up. NetApp quotes a $12,000 base price for NetApp OnCommand Insight Balance supporting a heterogeneous storage environment. For NetApp systems, “value pricing” begins at $1,400 per controller.